The summer installment of NYC Restaurant Week begins next Monday, July 22 and continues through Friday, August 22. Close to 300 restaurants are offering prix fixe lunch and dinners at a reduced price. Three-course lunches are $25, while a three-course dinners are $38. Make a reservation here. Restaurant Weeks are held around the country and are designed to encourage customers to sample a restaurant that they might not have visited otherwise. 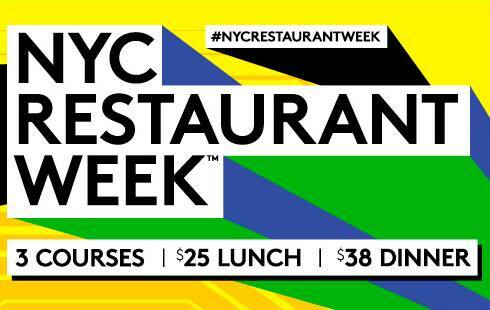 NYC Restaurant Week happens every year around January-February and July-August.